Provides power-over-Ethernet (PoE) simplicity, wide-ranging credential support, and robust security system management in an easy-to-use modular package installed at the “edge”. 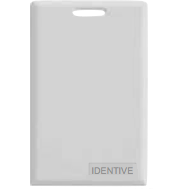 Identive 125 kHz LF proximity cards utilize the market’s most popular proximity card standards and can be encoded i numerous Wiegand data formats. Black, 125kHz.Short Range ProxPoint reader (up to 3.75" read range). 3.135" x1.7" x 0.51" in size. 20" pigtail. Powered directly by MRIA, MRIB, DS47L or DL1. Use HID 125 Khz proximity cards. Beige, 125kHz Short Range ProxPoint reader (up to 3.75" read range). 3.135" x1.7" x 0.51" in size. 20" pigtail. Powered directly by MRIA, MRIB, DS47L or DL1. Use HID 125 Khz proximity cards. Black, 125kHz Short Range MiniProx (up to 5.5" read range). 6" x 1.7" x 0.75" in size. 20" pigtail. Powered directly by MRIA, MRIB, DS47L or DL1. Use HID 125 Khz proximity cards. Black, 125kHz Medium Range ProxPro (up to 9" read range). 5" x 5" x 1" in size. Requires separate linear power supply (12-24VDC 175mA). Screw Terminals. Use HID 125 Khz proximity cards. Black, 125kHz. Medium Range ProxPro II (up to 9" read range). 5" x 5" x 1" in size. Powered directly by MRIA, MRIB, DS47L or DL1. 20" pigtail. Euro/Asian mounting holes. Use HID 125 Khz proximity cards. Black, 125kHz. Long Range MaxiProx (up to 24" read range). 12" x 12" x 1" in size. Requires separate linear power supply (24VDC 2A). Screw Terminals. Use HID 125 Khz proximity cards. Black, 125kHz. Short Range Thinline (up to 5.5" read range). 4.65" x 2.95" x 0.50" in size. 18" pigtail. Powered directly by MRIA, MRIB, DS47L or DL1. Use HID 125 Khz proximity cards. Black, 125kHz. Hazardous Location version of short range MiniProx (up to 5.5" read range). MiniProx mounted on heavy duty junction box. 8.5" x 2.375" x 3.465" in size. 20" pigtail. Powered directly by MRIA, MRIB, DS47L or DL1. Use HID 125 Khz proximity cards. Black, 125kHz Slim FlexPass Arch reader (up to 5" read range). Standard 26 bit output. Weather resistant. Mullion mount, 4.5" x 1.72" x 0.85" in size. Powered directly by MRIA, MRIB, DS47L or DL1. 16" pigtail. Use Indala FlexPass (FP) 125Khz proximity cards and tags. Black, 125kHz, Mid Range FlexPass Arch reader (up to 12" read range). Standard 26 bit output. Weather resistant. Single or double gang box mount, 5.1" x 6.1" x 1.1" in size. Powered directly by MRIA, MRIB, DS47L or DL1. 16" pigtail. Use Indala FlexPass (FP) 125Khz proximity cards and tags. Black, 125kHz Wall Switch FlexPass Arch reader (up to 5" read range). Standard 26 bit output. Weather resistant. Single gang box mount, 4.5" x 2.99" x 0.85" in size. Powered directly by MRIA, MRIB, DS47L or DL1. 16" pigtail. Use Indala FlexPass (FP) 125Khz proximity cards and tags. Black, 125kHz Wall Switch FlexPass Curve reader (up to 5" read range). Standard 26 bit output. Weather resistant. Single gang box mount, 4.75" x 3.24" x 1.1" in size. Powered directly by MRIA, MRIB, DS47L or DL1. 120" pigtail. 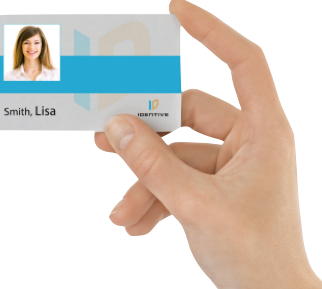 Use Indala FlexPass (FP) 125Khz proximity cards and tags. Black, 125kHz Slim FlexPass Curve reader (up to 5" read range). Standard 26 bit output. Weather resistant. Mullion mount, 4.75" x 1.72" x 1.1" in size. Powered directly by MRIA, MRIB, DS47L or DL1. 16" pigtail. Use Indala FlexPass (FP) 125Khz proximity cards and tags. 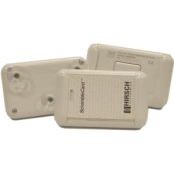 White, 125kHz Wall Switch FlexPass Linear reader (up to 5" read range). Standard 26 bit output. Weather resistant. Single gang box mount, 4.4" x 2.82" x 0.9" in size. Powered directly by MRIA, MRIB, DS47L or DL1. 16" pigtail. 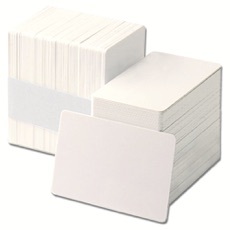 Use Indala FlexPass (FP) 125Khz proximity cards and tags. 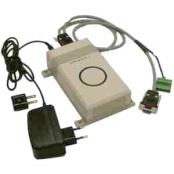 Beige, 125kHz Wall Switch FlexPass Linear reader (up to 5" read range). Standard 26 bit output. Weather resistant. Single gang box mount, 4.4" x 2.82" x 0.9" in size. Powered directly by MRIA, MRIB, DS47L or DL1. 16" pigtail. Use Indala FlexPass (FP) 125Khz proximity cards and tags. Black, 125kHz Horizontal FlexPass Linear reader (up to 5" read range). Standard 26 bit output. Weather resistant. Weigand retrofit, 2.3" x 5.3" x 0.83" in size. Powered directly by MRIA, MRIB, DS47L or DL1. 16" pigtail. Use Indala cards. Black, 125kHz Slim FlexPass Linear reader (up to 5" read range). Standard 26 bit output. Weather resistant. Mullion mount, 5.5" x 1.65" x 0.75" in size. Powered directly by MRIA, MRIB, DS47L or DL1. 16" pigtail. Use Indala FlexPass (FP) 125Khz proximity cards and tags. Black, 125kHz Wall Switch FlexPass Linear reader (up to 5" read range). Standard 26 bit output. Weather resistant. Single gang box mount, 4.4" x 2.82" x 0.9" in size. Powered directly by MRIA, MRIB, DS47L or DL1. 16" pigtail. Use Indala FlexPass (FP) 125Khz proximity cards and tags. Black, 125kHz Wall Switch FlexPass Wave reader (up to 5" read range). Standard 26 bit output. Weather resistant. Single gang box mount, 4.75" x 3.24" x 1.1" in size. Powered directly by MRIA, MRIB, DS47L or DL1. 16" pigtail. Use Indala FlexPass (FP) 125Khz proximity cards and tags. Black, 125kHz Slim FlexPass Wave reader (up to 5" read range). Standard 26 bit output. Weather resistant. Mullion mount, 4.75" x 1.72" x 1.1" in size. Powered directly by MRIA, MRIB, DS47L or DL1. 16" pigtail. Use Indala FlexPass (FP) 125Khz proximity cards and tags. Black, 125kHz Mid Range FlexPass Wave reader (up to 12" read range). Standard 26 bit output. Weather resistant. Single or double gang box mount, 5.5" x 6.53" x 1.485" in size. Powered directly by MRIA, MRIB, DS47L or DL1. 16" pigtail. Use Indala FlexPass (FP) 125Khz proximity cards and tags. Black 125kHz and 13.56MHz HID, Reads all 125kHz, MIFARE/DESFire Serial Number and HID iCLASS cards (legacy and SE). 1.5 to 3.25" read range. Mullion mount, 1.90"x4.04"x.90". Powered directly by MRIA, MRIB, DS47L or DL1. 18" pigtail. Wiegand output. 34-bit MIFARE/DESFire CSN. Black 13.56MHz. Reads MIFARE/DESFire Serial Number and HIDiCLASS cards (legacy and SE). 1.5 to 3.25" read range. Mullion mount, 1.90"x4.04"x.90". Powered directly by MRIA, MRIB, DS47L or DL1. 18" pigtail. Wiegand output. 34-bit MIFARE/DESFire CSN. Black 13.56MHz HID, Reads MIFARE/DESFire Serial Number and HIDiCLASS cards. 1.5 to 3.5" read range. Mullion mount, 1.90"x6.10"x.90". Powered directly by MRIA, MRIB, DS47L or DL1. 18" pigtail. Wiegand output. 34-bit MIFARE/DESFire CSN. Black 125kHz and 13.56MHz HID, Reads all 125kHz, MIFARE/DESFire Serial Number, and HIDiCLASS cards (legacy and SE). 1.0 to 4.0" read range. Mullion mount, 1.90"x6.10"x.90". Powered directly by MRIA, MRIB, DS47L or DL1. 18" pigtail. All 125kHz proximity, including Indala. Wiegand output. 34-bit MIFARE/DESFire CSN. Default Indala is not HIRSCH format. Black 13.56MHz HID, Reads MIFARE/DESFire Serial Number and HIDiCLASS cards (legacy and SE). 2.0 to 4.0" read range. EU/Asian box mount, 3.30"x3.30"x.85". Powered directly by MRIA, MRIB, DS47L or DL1. 18" pigtail. Wiegand output.  Default MIFARE CSN is 34-bit. Black 13.56MHz HID, Reads MIFARE/DESFire Serial Number and HIDiCLASS cards (legacy and SE). 2.0 to 4.25" read range. Wallswitch mount, 3.30"x4.80"x.95". Powered directly by MRIA, MRIB, DS47L or DL1. 18" pigtail. Wiegand output. 56-bit MIFARE/DESFIRE CSN. Black 125kHz and 13.56MHz HID, Reads all 125kHz, MIFARE/DESFire Serial Number and HID iCLASS cards (legacy and SE). 1.0 to 4.25" read range. Wallswitch mount, 3.30"x4.80"x.95". Powered directly by MRIA, MRIB, DS47L or DL1. 18" pigtail. All 125kHz proximity, inlcuding Indala. Wiegand output. 34-bit MIFARE/DESFIRE CSN. Default Indala is not HIRSCH format. Black 13.56MHz HID, Wiegand output. 9 to 18" read range. "Parking Hold" feature for loop detector. Wall mount, 12"x12"x1.25". Requires 12-24VDC power supply. Terminal strip. Use IDC100-IC (HID IC) cards. The reader reads standard proximity format data from HID iCLASS cards and will output data as encoded. Long Range Automatic Vehicle Identification (AVI) reader. 2.4384 - 2.4570 GHz ISM band microwave technology reads Tags at a distance of up to 33 feet (10 meters) at high speeding passage (<125 mph). Requires line of sight to the Tag (ice, snow, and heavy rain are transparent). 32 channel selection DIP switches. Encrypted air interface. Output is Wiegand. Use with MATCH2 (not DS47L). Stainless steel housing with two PG-9 adapters for communications and one PG-13 adaptor for line voltage (mains). Includes adjustable wall mounting bracket. -22 to 158 degrees F (-30 degrees C to 50 degrees C), 10 to 93% non condensing. 12.2" x 9.8" x 3.9" in size. 24VDC, 500mA or 230VAC, 100mA 50/60Hz power supply. Reads CR-N series AVI Tags. Long Range Automatic Vehicle Identification (AVI) reader. 2.4006 - 2.4820 GHz ISM band microwave technology reads Tags at a distance of up to 33 feet (10 meters) at high speeding passage (<125 mph). Requires line of sight to the Tag (ice, snow, and heavy rain are transparent). 138 channel selection DIP switches. Encrypted air interface. Output is Wiegand. Use with MATCH2 (not DS47L). Stainless steel housing with two PG-9 adapters for communications and one PG-13 adaptor for line voltage (mains). Passive 2.45 GHz Microwave Tag with 120kHz RFID. Windshield mounting on inside of a vehicle via suction cup. 2.9" round. -22 to 185 degrees F. Lithium battery with lifetime of 8 to 10 years. Use with CR-NMR series nedap Microwave Readers. Passive 2.45 GHz Microwave Tag with 120kHz RFID and pushbutton switch so driver can determine the moment of identification. Windshield mounting on inside of a vehicle via suction cup. 2.9" round. -22 to 185 degrees F. Lithium battery with lifetime of 8 to 10 years. Passive 2.45 GHz Microwave Carrier/Transmitter with embedded 120kHz RFID reader for HID cards. Includes HID RFID card holder and ability to transmit the RFID card ID number over microwave to the CR-NMR microwave reader for greater distances than normally available for a Prox reader, allowing the window to remain rolled up. The Booster acts as an in vehicle Prox card reader. Windshield mounting on inside of a vehicle via suction cups. Lithium battery with lifetime of 8 to 10 years. Passive 2.45 GHz Microwave Tag for the vehicle with embedded 120kHz RFID reader for HID cards. Includes HID RFID card holder and ability to transmit the RFID card ID number in addition to the vehicle tag ID over microwave to the CR-NMR microwave reader. Windshield mounting on inside of a vehicle via suction cups. Passive 2.45 GHz Microwave Carrier/Transmitter with embedded 13.56 MHz reader for 14443 and 15693 smartcards (eg, MIFARE and HID iCLASS). 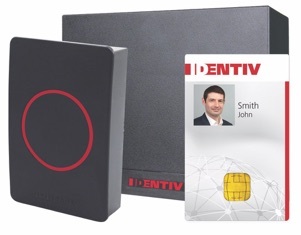 Includes smart card holder and ability to transmit the card serial number over microwave to the CR-NMR microwave reader for greater distances than normally available for a smart card reader, allowing the window to remain rolled up. The Booster acts as an in vehicle smart card reader. Windshield mounting on inside of a vehicle via suction cups. Passive 2.45 GHz Microwave Tag for the vehicle with embedded 120kHz RFID. Weatherproof and usable in explosive zones. Can be permanently mounted on the outside of a vehicle or container by two bolts, screws, or rivets. 4.8" x 3.4." -22 to 185 degrees F. Lithium battery with lifetime of 8 to 10 years. Enrollment Station that uses 120kHz to read the 120kHz circuit in the TRANSIT AVI Tag. DB9M to DB9F cable included to for configuration with pigtail for connection to SMES or DMES enrollment stations (not included). Includes 100-240VAC 50/60Hz (170mA) to 12VDC (700mA) plug-in transformer. Designed to offer system integrators and users robust performance and maximum card technology flexibility. Features a future-proof design that can support credential migrations from proximity through PKI at the door. iSecureTech is a leading online supplier of state-of-the-art security devices and equipment. We supply a wide range of electronic tools that will protect your property and assets. Engineered to control access to any facility or premises, our systems feature innovative designs and groundbreaking technologies. Capable of reading many different access and proximity cards, these security devices provide the ultimate level of protection. Exhibiting the latest in electronic security, our readers feature cutting-edge controls. They can be centrally controlled and integrated to work seamlessly alongside other security devices. Durable and low maintenance, our access control system readers are a worthwhile investment for your home or workplace. iSecureTech has many different access control card systems available online. We stock security devices from a number of renowned manufacturers, such as HID PROX, INDALA and Nedap. Our collection includes many different designs that are suitable for a wide range of commercial and domestic applications. We have door, control panel, transit and car park readers that come with customizable options. At iSecureTech, we are dedicated to providing our customers with up-to-date technologies. We supply high quality access and USB readers from reputable brands for competitive prices. Our online store has established a reputation for excellence and a broad client base in Hong Kong and Asia. Enjoy a hassle-free shopping experience with iSecureTech. Simply browse our deluxe collection, add items to your cart and proceed to checkout. If you would like to find out more about our range, please feel free to get in touch now. All you need to do is fill out our online enquiry forms and we will get back to you as soon as possible. 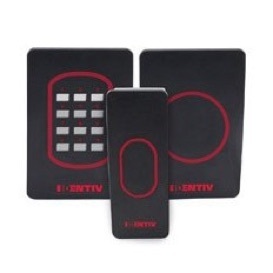 Identiv’s uTrust ScramblePad® family of keypads and keypad+reader devices prevent access codes from being stolen by using a key scrambling technique that is combined with unique viewing angle restrictors. • High Security: Scrambling display, unique horizontal and vertical viewing restrictors, high-security data, transmission, and 3 to 16 digit codes. • Multi-Technology: Reader models include proximity, smart cards, or dual frequency. 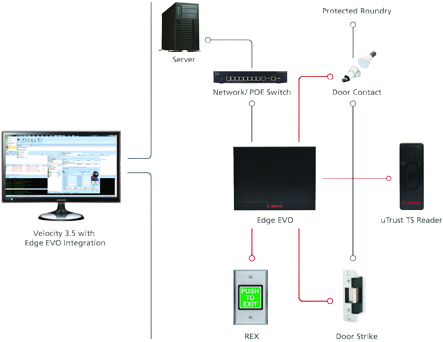 • Multi-Function Interface: Access control, programmer’s terminal, alarm and relay control, override HVAC, lighting, and custom control sequences. • Audible Feedback: Scramble, access/denial, or silent operation option.